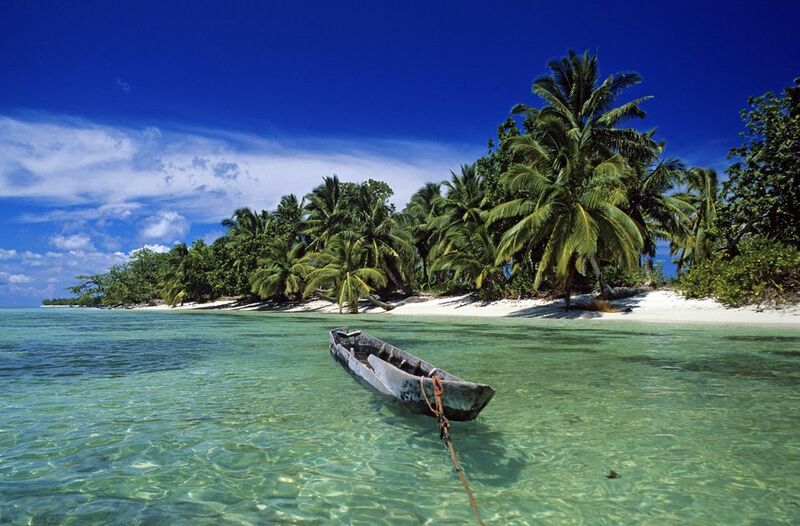 Located several hundred miles off the coast of Mozambique, Madagascar is one of the most unique places on Earth. It is a land with many different faces - golden shores, lush mountains, jagged limestone karsts and plunging, arid canyons. These eclectic habitats are home to an incredible variety of wildlife, 90% of which is found nowhere else on Earth. There is something for everyone in Madagascar, whether you’re looking to relax on untouched beaches or to plunge off the grid into pristine rainforest. The country’s capital, Antananarivo, is a melting pot of colonial history, diverse culture and fine modern cuisine. Of all Madagascar’s weird and wonderful creatures, lemurs are without a doubt the most iconic. There are nearly 100 different species and sub-species of lemur on the island, all of which are endemic. These charismatic primates range in size from the tiny pygmy mouse lemur to the majestic, monochrome indri. The best way to spot Madagascar’s lemurs is to head to one of its many national parks. In particular, Andasibe-Mantadia National Park is known for its large indri population while Ranomafana National Park is home to 12 species including the critically endangered golden bamboo lemur. While exploring the island’s parks, keep an eye out for other endemic species including tenrecs, civets and the cat-like fossa. There’s nothing quite like an encounter with the world’s largest fish. Those visiting Madagascar from September to December can do just that, off the northwestern island of Nosy Be. At this time, these behemoth fish gather to feed on blooming plankton and can easily be spotted from the surface. Despite their huge size (whale sharks reach an average length of around 31 feet/9.5 meters), they are naturally docile and pose no threat to humans. In season, operators like Baleines Rand’eau offer whale shark snorkeling trips with a 95% chance of success. While you’re out there searching for the sharks, remember to look for Madagascar’s other marine life including turtles, manta rays, and dolphins. Baobab trees are intrinsically woven into the fabric of African folklore. In the past, indigenous people depended upon their products for survival, and as such, these strange trees are often called the “Tree of Life”. Today, they are remarkable for their vast size, with the largest species growing up to 46 feet/14 meters in diameter. Madagascar is home to six types of endemic baobab. Although they can be seen all over the island, the most famous place for baobab-worshipping is the Avenue of the Baobabs. Located in the Menabe region of western Madagascar, the Avenue comprises some 25 trees strung out like sentries along the Morondava - Belon’i Tsiribihina dirt road. Many of the trees are over 100 feet/30 meters tall. Founded by the king of the Merina people at the beginning of the 17th century, the Malagasy capital is steeped in history. Known locally as Tana, Antananarivo also served as the capital for French colonialists in the 19th and 20th centuries and remains the island’s center of political and economic power today. There is much to explore in Tana. For beautiful colonial architecture head to the old Haute-Ville area of the city. Get your cultural fix in the city’s art galleries and museums, or soak up the atmosphere while browsing the open-air produce stalls at Analakely Market. Tana is known for its culinary culture, whether you’re hoping to sample street-food delicacies or experience fine French dining in restaurants that compete on an international level. Whether you’re an experienced diver or a beginner hoping to take the plunge for the first time, there are plenty of incredible scuba diving opportunities in Madagascar. With approximately 3,000 miles/4,800 kilometers of coastline, you’re never far from the ocean; while the southwest boasts the world’s third largest coral reef system. This reef provides a habitat for over 6,000 marine species, many of which are unique to Madagascar. The island of Nosy Be is perhaps the most famous destination for divers, while charter boats in the north can be hired as dedicated diving liveaboards. Conditions are ideal, with good visibility year-round and balmy water temperatures. Bucket-list animals include whales, dolphins, sharks and manta rays. Wherever your adventures take you, make sure to sample the local cuisine. Traditional Malagasy dishes usually consist of either meat or seafood served with vegetables and rice. Spices are used sparingly, but the food is nevertheless flavorful. Try koba, a popular street food consisting of banana, peanut and rice paste wrapped in a banana leaf casing. Romazava is the traditional beef stew, while kabaro (curried lima beans and coconut) is popular in the Morondava region. On the coast, fresh seafood dominates the menu. Wash your meal down with the local Three Horses Beer (THB) or with ranonapango (sometimes called ranovola). The latter is made from burnt rice water and is definitely an acquired taste. Madagascar is full of extraordinary scenery but perhaps the most striking of all its alien landscapes are the limestone karsts of northwestern Tsingy de Bemaraha National Park. Approximately 200 million years ago, the limestone seabed was pushed upwards, creating a vast plateau. Over time, the plateau was eroded, eventually becoming a dense “forest” of jagged limestone needles interspersed with canyons, waterfalls and almost impenetrable forest. In addition to its prehistoric badlands scenery, Tsingy offers the opportunity to look for 11 different lemur species, some of which are only found in this specific area. There are also endemic reptiles, birds and a plethora of utterly unique botanical species. There are approximately 280 bird species in Madagascar. Although this isn't a particularly high figure for the fourth-largest island in the world, a high level of endemism confirms its status as a prime birding destination. Over 100 species are Madagascar exclusives. There are three main regions for those in search of endemic birds - the eastern rainforest, the southern spiny bush and the deciduous forests in the west. If you have limited time, try Ranomafana National Park, home of rarities like the short-legged ground roller and the yellow-bellied sunbird-asity. The best time for birding is in late spring or early summer (August to December), when birds are at their most active and are dressed in their finest breeding plumage. White sand, abundant palms and azure waters make Madagascar one of the most beautiful island destinations in the Indian Ocean. Some of the country’s best stretches of sand are found on outlying islands in the northwest. Tiny Tsarabanjina, for example, evokes Robinson Crusoe with its deserted sandy coves and crystalline seas. The island is only accessible by boat and offers luxury accommodation in the form of private beach bungalows. The beaches of nearby Nosy Iranja are frequented by nesting turtles; while on the east coast, Île aux Nattes is a tropical paradise with several options for accommodation and activities. On the mainland, the beaches around Anakao in the south offer reliable swells for surfing and kite-surfing. Those heading to Madagascar between July and September should make their way to the northeastern island of Île Sainte-Marie to witness the annual humpback whale migration. Also known as Nosy Boraha, this idyllic island plays host to hundreds of humpbacks, all of whom have traveled thousands of miles from the nutrient-rich waters of the Southern Ocean. Their sojourn to the warm waters of the Indian Ocean is something of a winter vacation - a time to come together, mate and give birth before returning to Antarctica. Humpback whales are the most acrobatic of all whale species and if you join an Île Sainte-Marie whale-watching tour you’re likely to see them breaching, spy-hopping and slapping their giant pectorals.